Ph.D. Cornell University (Southeast Asian Art History and Southeast Asian Studies), 1994. M.A. Cornell University (Southeast Asian Art HIstory), 1991. M.A. Ohio State University (Indian Art History), 1984. B.A. Silpakorn University, First Class Honor (Asian Art History), 1981. 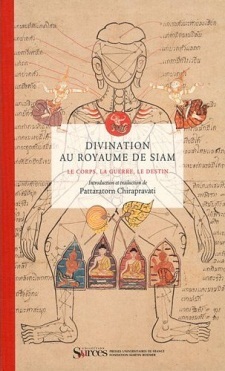 Divination au royaume de Siam: Le corps, la guerre, le destin (Presses universitaries de France, 2011). Votive Tablets in Thailand: Origin, Styles, and Uses (Oxford University Press, 1997). “Inundations: Images of Disaster in Southeast Asian Art,” Imagining Disaster, ed. Jacob Birken, The Cluster of Excellence “Asia and Europe in a Global Context, Heidelberg University Press (Regensburg: Schnell & Steiner (2013). “Funeral Scenes in the Ramayana Mural Painting at the Emerald Buddha Temple,” Recent studies in Southeast Asian archaeology, ed. Marijke Klokke, Amsterdam University Press (2013). “In Search of Maitreya: Early Images of Dvaravati Buddha at Si Thep,”Buddhist Narrative, ed. Peter Skilling and Justin McDaniel (2012). “Cloth and Corps: Illustrations of the Pansukula Ceremony in Thai Manuscripts,” Buddhist Funeral Cultures of Southeast Asia and China, eds. Paul Williams and Patrice Ludwig, University of Cambridge (2012). “Living the Siamese life: Culture, Religion, and Art,” Emerald Cities: Arts of Siam and Burma, 1775-1950, ed. Forrest McGill, Asian Art Museum of San Francisco (2009). “From Text to Image: Copying as Buddhist Practice in Late Fourteenth-Century Sukhothai,” Buddhist Manuscript Cultures, ed. Steve Berkwitz, Juliane Schober, and Claudia Brown, Routledge (2009). “Buddhism and Thai Art,” in online Journal Buddhism Compass, April 2009. “Illustrating the Lives of the Bodhisattva: Art of Wat Si Chum,” Past Lives of the Buddha: Wat Si Chum-Art, Architecture and Inscriptions, ed. Peter Skilling. (River Books, 2007). “Original or Recycled? Jataka Reliefs at Wat Si Chum,” Buddhist Legacy in Mainland Southeast Asia. (The Sirindhorn Anthropology Center and Ecole Franaise dÕExtreme-Orient, 2006). 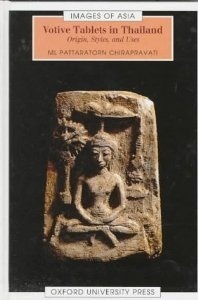 “Wat Ratchaburana: Deposits of History, Art, and Culture of the Early Ayutthaya period” in Kingdom of Siam: Art from Central Thailand: 1350-1800 CE, exhibition catalog,. (Snoeck Publishers, Buppha Press, Art Media Resources, Inc., and the Asian Art Museum of San Francisco, 2005). “Sukhothai” and “Ayutthaya,” articles for Encyclopedia of Buddhism, edited by Robert Buswell (Thompson and Gale, 2004). “Important Extant Temples and Sculptures in Thailand and Burma,” article in Encyclopedia of Monasticism. (Fitzroy, Dearborn, Michigan, 2000). “Development of Buddhist Traditions in Peninsular Thailand: Study Based on Votive Tablets (Eighth to Thirteenth Centuries),” in Festschrift in honor of the seventieth birthday of Stanley O'Connor, ed. Nora Taylor. (Southeast Asia Program Publication, Cornell University, 2000). “Votive Tablets and Amulets from Thailand,” Art From Thailand, special issue of Marg Magazine, ed. Robert L. Brown (1999). Co-curator, The Kingdom of Siam: The Arts of Central Thailand, 1350-1800 (The Asian Art Museum of San Francisco, 2005 and the Peabody Essex Museum, Salem, 2005). Co-curator, Emerald Cities: Arts of Siam and Burma 1775-1950 (The Asian Art Museum of San Francisco, 2009). Art Consultant and Catalogue contributor, The Lost Kingdoms of Early Southeast Asia: Hindu-Buddhist Sculpture, 6th to 10th centuries (The Metropolitan Museum of Art, Southeast Asian Department, 2011-2014). The Spirit of Contemporary Asian Art (The University Library Gallery, 2003). The Tradition Continues: Art from Thailand (The Witt Gallery, CSUS, 2005). Transcendent Landscape by Shimo (The University Library Gallery Annex, CSUS, 2006). The House of Spirits: Works of Emeritus Professor Leroy Keevaljian (The Witt Gallery, CSUS, 2007). 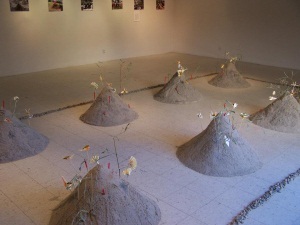 The Cycle of Life: Innocence (The Pence Gallery (Davis), 2007). The Cycle of Life: Wisdom (The University Library Gallery Annex, CSUS, 2007). The Cycle of Life: Awakening (The Institute of East Asian Studies, University of California, Berkeley, 2008). The Last Wedding, Part 1: In Progress, Art Installation by Marianne Ryan, (Robert Else Gallery, CSUS, 2010). 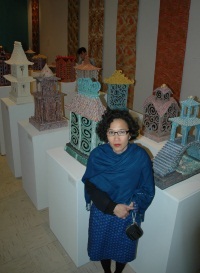 Merit Making For the Southeast Asian New Year: Offering of the Sand Stupas, (Robert Else Gallery, CSUS, 2012). See the installation video created by Professor Jeffrey Dym: Asian Studies students and Professor Pat Chirapravati create sand stupas in the Else Gallery, April 2012.